Some level of government affects every person in a different way. Whether it is local, state, or federal government, there are always rules and regulations that must be followed. For example, a person may need a license to drive, a permit to construct a building, or a certificate of health to open a restaurant. Each of these rules is a result of a policy carefully debated and outlined by public administrators and officials in government. Making these policy decisions can be hard and time-consuming; however, they have far-reaching and major consequences for many individuals and businesses. Studying public administration as a career will successfully prepare any international student to make these policy decisions. A public administration degree prepares students to manage public agencies, set budgets, and create government policies. These policies can be on diverse topics ranging from the environment to social issues. The classes focus on how these decisions are made and the processes for making the best decision for society. In addition, a public administration background will explain the most favorable way to implement policies and decisions once they have been made. 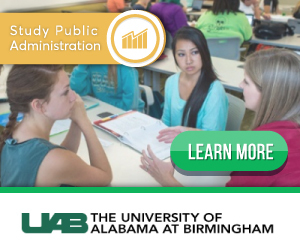 In this study Public Administration section, we describe what public administration entails, as well as guidance for international students who seek a degree and a career in this exciting field. Public administration studies the implementation of government policy and prepares future civil servants for work in the public service. It draws heavily on the fields of political science and administrative law. The goals of public administration are to improve the equality, justice, security, efficiency, and effectiveness of public services, usually in a non-profit, non-taxable venue. Comparative public administration is a subset of public administration. Students who study comparative public administration will study administrative systems in a comparative fashion, or public administration in other countries. Another definition of comparative public administration is the “quest for patterns and regularities in administration action and behavior”. and the lack of success in developing theoretical models which can be scientifically tested. Many Masters of Public Administration (MPA) programs share similarities with business administration programs, or MBAs, and oftentimes MPA and MBA students will take many of the same courses. In some programs, the MPA (or MAPA) is more clearly distinct from the MBA. In these cases, the MPA will often emphasize distinctly different ethical and sociological criteria that are generally secondary to that of profit for business administrators. Some MPA programs include economics courses to provide students with a background in microeconomic issues, such as markets and rationing mechanisms, and macroeconomic issues, such as national debt. The Doctor of Public Administration is an applied-research doctoral degree focusing on practice. The DPA requires a dissertation and significant coursework beyond the Masters level. After completing the doctoral requirements, a student is awarded with the title of “Doctor,” and the post-nominals of D.P.A. are often added. Some universities use the Ph.D. as their doctoral degree in public administration. Visit the Study in the USA School search to find schools that offer programs of study in Public Administration. Over time we will be updating this section and including more information for those who want to study public administration in the USA and for other countries, but please feel free to post your thoughts and comments on our Facebook fan page, and also follow us and post questions through Twitter.